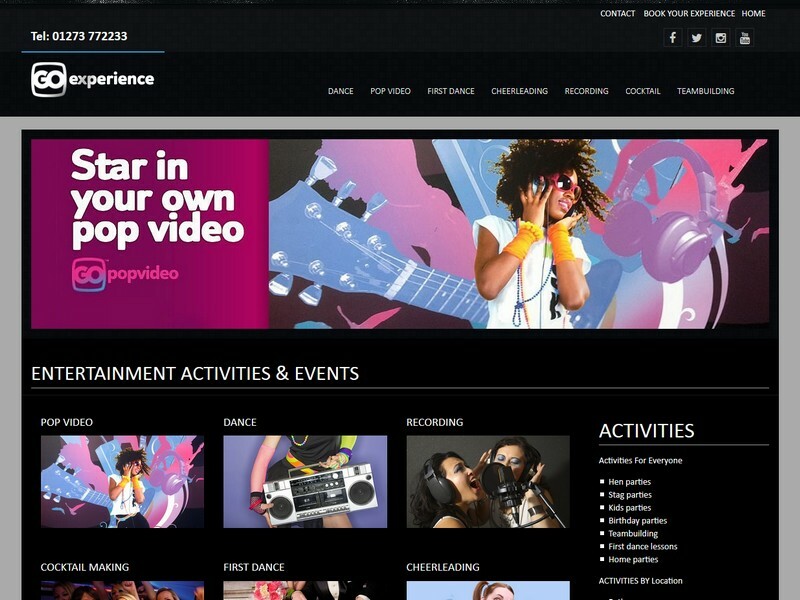 Go Experience are a Brighton based company providing events and experiences from the entertainment industry. We were briefed to provide a new, brighter and bolder website. We provided a responsive layout which displays perfectly on mobiles and tablets as well as traditional desktop PC's. The new website is completely up to date with modern web design technology.